One Week Bath is an innovative remodeling system that is the ultimate in convenience for homeowners, guaranteeing them a new, remodeled bathroom in just one week! We design and build luxurious custom bathrooms for our clients, transforming their spaces and their lives. And we do it with an unmatched, hassle-free remodeling experience. 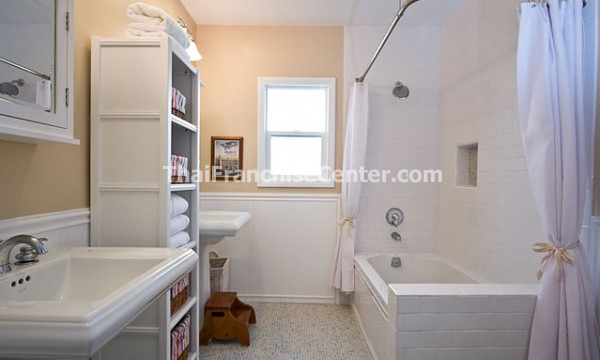 At One Week Bath we offer custom bathroom remodeling in just one week! We'll work with you to design your dream bathroom, and then gather all of the materials before the project begins. Once construction begins, you'll see the same crew in your house every day for just a week. We take great care with your belongings. We clean up at the end of each day to ensure minimal disruption in your home. Total investment range:$120,000 - $170,000. What can a One Week Bath franchise do for you? Train you and your crews to design, price and sell bathrooms quickly and efficiently. Provide you with proven processes and procedures for every step of your new business. Assist in local marketing and give you access to our proven marketing catalogue. Provide resources to manage your web marketing. Manage all incoming calls – sales and customer service. Provide proprietary software to automate your estimating and your entire business processes. Enable you to participate in the savings as we manage vendors and secure bulk purchasing advantages for our franchisees. Construction consultant to Extreme Makeover Home Edition. Named in "100 Most Brilliant Ideas" by Entrepreneur magazine, June 2010. Member of the National Kitchen and Bath Association. Member of the National Association of the Remodeling Industry. Better Business Bureau AAA Rated. Winner of the 2014 Best of Houzz for Client Satisfaction and Design. Featured in the LA Times, EXTRA, KTLA, KNX Radio Remodeling, HouzingZone, Extreme Makeover Home Edition.